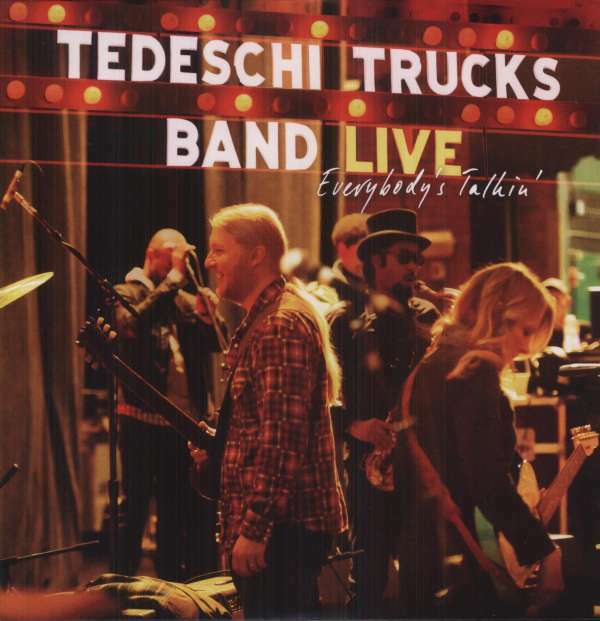 Der Artikel Tedeschi Trucks Band: Everybody's Talkin' - Live (180g) wurde in den Warenkorb gelegt. When Derek Trucks (of The Derek Trucks Band) and Susan Tedeschi (formerly of The Susan Tedeschi Band) met and married, it was more than a civil union. They decided to mesh their music – and their bands – together to create their first love child ‘The Revelator’. In the process they found the perfect mix between Blues, Funk, Gospel and Rock, and ‘The Revelator’ won a Grammy Award in 2011 for Best Blues Album. ‘Everybody’s Talkin’, named after the song Harry Nilsson made famous in the film ‘Midnight Cowboy’, is their second album: a collection of fan favourites, traditionals and covers from heroes such as Stevie Wonder, Elmore James, Joe Cocker and Bobby Bland, plus the unreleased track ‘Nobody’s Free’. Music On Vinyl will release this triple live-album filled with musical prowess in a beautiful 3-panel gatefold sleeve. 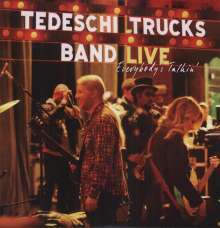 Eine Band mit elf Musikern, eine Sängerin, die besser denn je singt und ein Ausnahmegitarrist wie Derek Trucks und schon ist ein fantastisches Album entstanden. Die Live-Aufnahmen bestechen durch diese beeindruckende Mischung aus Blues, Rock, Soul, Southern, Bluesrock und Jazz. Herausheben (als Anspieltipps) möchte ich den Bluesrocker mit Bläsereinsatz "Learn How To Love" und den 15-Minüter "Uptight". Zur Vinyl-Ausgabe: 3 LP's in 180g-Pressungen / Dreifach-Klappcover (was relativ selten ist). Klang: Hervorragend.